Changing your eating habits are not easy. When it comes to slimming down, I always find that changing my diet is much harder than finding the motivation to exercise. Loving food as much as I do, it's hard to break through my need for greasy Asian food and love for frying pork chops. If you know, you know. It's come to that point in the year where summer is here, and summer holidays are just a few hurdles away, reminding you that your health isn't where you feel it should be. Feeling the same? It's alright. I'm going through it too. Roast and Grill, Don't Fry! If you still want to eat golden and crispy foods, you can easily do this by roasting your food in the oven! You can use less oil, which means less grease, making it a little cleaner and lighter on the fats. For example, fried chicken can be replicated into baked chicken if you bread with crumbs instead of flour and bake in the oven. Another way is to grill your food, either in the oven or on a griddle pan. From vegetables to fresh fish, your food will be healthier while having a delicious charred taste! Use some oil spray to manage your use. This won't apply to you if you're allergic, but oats and nuts are great for breakfast and for snacking! They are healthy sources for protein and fibre, perfect for when paired with the vitamins in fruits. I recommend a full bowl of porridge with non-ripe bananas and strawberries drizzled in honey in the morning. 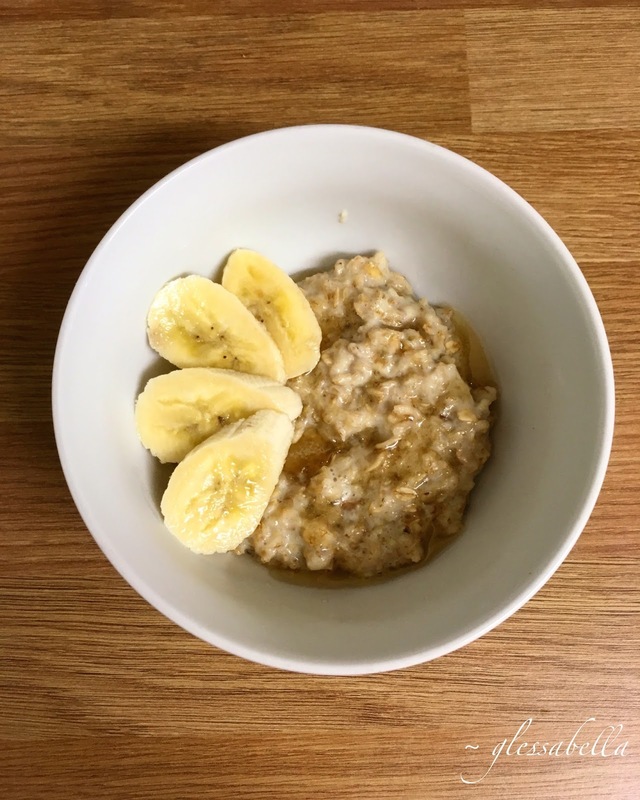 You can even have gluten-free oats if needed or desired - how great is that?! When snacking on nuts, it's better if they are unsalted since you could get carried away with how much you eat... trust me. Okay. This is a tough one. For all you fellow chocoholics, this rule is the most difficult. We must suppress our indulgence for chocolate. Chocolate might be the most heavenly creation on this universe, but it definitely isn't the healthiest thing in the world. Sometimes I think eating has become such an obsession that I always need to be eating something - this is why snacking regularly is good! Your snacks have to healthy, of course: nuts, dried fruit, oat and cereal bars, carrot and cucumber sticks, organic peanut butter, etc. If you do this, it's better to only have 1 or 2 smaller portioned meals a day to avoid major bloating. You could easily do 3 meals a day too if snacking is not your thing, but make sure you strictly stay to one round per meal and portion enough rather than too little or too much! Replace your white pasta and rice with brown and wholewheat! Eating brown is quite satisfying since there's more of a bite to your food and you feel full quicker. The only catch is that it takes longer to cook your food, not to mention the few pennies more you need to spend, but in the end it's a lot better to eat wholewheat carbs for their nutritional value! It's good to want to become healthier, otherwise we'd be feeling like blobs all the time. It's not a nice feeling to be bloated or incredibly stuffed, so watching what we consume daily is to help us feel better. When dieting, drink lots of water! If anything, this fills your stomach and you'll feel less inclined to eat something when you know you've already eaten enough for that meal. The most important thing to note is that you should be dieting and exercising for yourself, not for anyone else. Make sure you are becoming healthier for the right reasons; establishing this means you'll feel 10x better a few months along the line when you've reached your goal.